The Independent Electoral and Boundaries Commission (IEBC) Commissioner Roselyn Akombe is trending on social media after news broke that police had blocked her from traveling to the US. 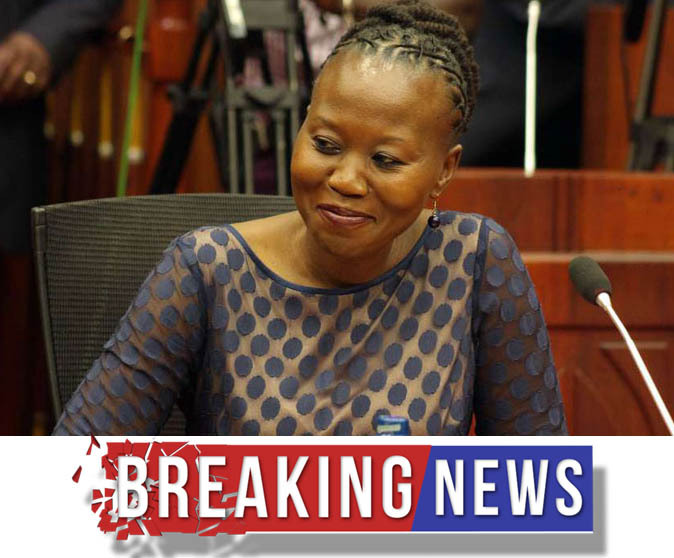 Akombe was slated to travel to America on Tuesday night August 15th but she was pulled out of the plane at Jomo Kenyatta International Airport (JKIA) by the police. Rumors had it that the state feared Akombe was traveling to the US to spill the beans on the disputed election that’s why she was quickly blocked from leaving the country. But it turns out that the IEBC commissioner failed to produce clearance from the Head of Public Service and Chief of Staff – Joseph Kinyua before she could travel abroad. Citizen reports that it took the intervention of the US Embassy for Akombe to be released from police custody and be transferred to the government pavilion at JKIA; the IEBC commissioner has dual citizenship of Kenya and the US. IEBC through their Twitter handle confirmed the issue has since been resolved and that Akombe had also left Kenya for the US. The IEBC commissioner traveled to America for an official meeting and is expected to return on Sunday, August 20.